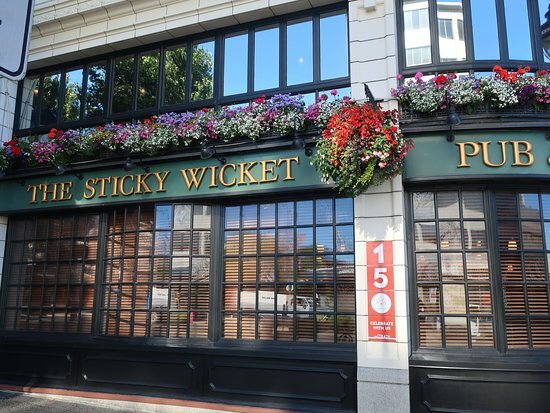 The Jam will be held at the Sticky Wicket Pub located two blocks north of the Conference Centre at 919 Douglas Street. Bring your axe, horn, sticks, voice, or anything else that makes music. Musicians and non-musicians are all welcome to attend. A full PA system, backline equipment, guitars, bass, keyboard, and drum set will be provided. All attendees will enjoy live music, a cash bar, and all-around good times. Don’t miss out! Come prepared to create music or at least listen to it! If you have something prepared, great. If you would like to join in with the impromptu band that always forms, please visit the Playlist page to get an idea of the kinds of songs that are frequently played as well as other details on how the Jam works.